If you haven’t decide which hotel to pick in the area near Verona, a few kilometers from it, situated in a panoramic position on a hill overlooking the valley of Mezzane, the residence “Le Coste” is the perfect place to stay in peace in elegant apartments equipped with every comfort in an elegant building of time in the countryside. 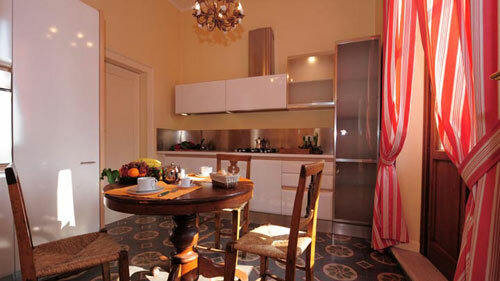 Holiday apartment Verona is the best choice. Set in San Pietro di Lavagno, is 2.5 km from the ring road which takes 15 minutes to Verona city, 4 km from the shopping area of Verona industrial east, 6 km from Ancient Roman Baths of Caldiero, 30km from Fossil Museum Bolca to Vestenenanova and 40 km. from the city of Vicenza. Surrounded by the vineyards that produce wines Valpolicella, Recioto, Amarone and Soave can visit different wineries in the area with food and wine tours. Located on the ground floor and the first floor of the building, about 70 square meters each, the apartments consist of entrance hall lounge, kitchen, double bedroom, bathroom and closet. Private parking uncovered pool. Supplied with bed linen and towels changed weekly, it is the perfect solution for your staying. Having 2 floors, it is divided according to the following way: the mezzanine and, of course, the first floor. Living room with double sofa bed, fully equipped kitchen with dishwasher, oven and freezer, double bedroom, bathroom with shower and utility room with washing machine, satellite TV 32 ‘, Wi-Fi, hair dryer, safe, individual heating. Living room with double sofa bed, fully equipped kitchen with dishwasher, oven and freezer, double bedroom, bathroom with shower, closet, satellite TV 32 ‘, Wi-Fi, hair dryer, safe, individual heating. If you have any further questions or if you want to book an holiday apartment Verona , call the residence or send an e mail. The friendly staff is at your disposal in order to satisfy all your needs.